The Sys*Stim 206 is a one-channel neuromuscular stimulator that features four different waveforms in a light-weight package. The Sys*Stim 206 is an ideal companion to the Sonicator 716 (#MET-ME716) for combination therapy. Dimensions: 4.3" (H) x 6" (D) x 13.4" (L). TENS/EMS Units & Stimulators can be found in our extensive online collection of products from globally recognized and trusted brands, including Mettler Electronics. 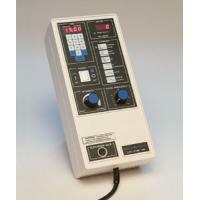 An excellent option to consider is the Mettler Sys*Stim 206 One-Channel Stimulator. 13.4" x 6" x 4.3"